MUSICIANS BENEFIT ALBUM "NOVUM INITIUM"
Los Angeles, CA - December 5th, 2011 - Many of the video game industry's leading music composers, producers and songwriters have joined forces to create "Novum Initium" (New Beginning), a benefit album dedicated to supporting working musicians in need of financial assistance. Partnering with the music industry charitable organization Sweet Relief, all proceeds from the album will be donated to the Sweet Relief Musicians Fund which provides financial assistance to career musicians who are struggling to make ends meet while facing illness, disability, or age-related problems. 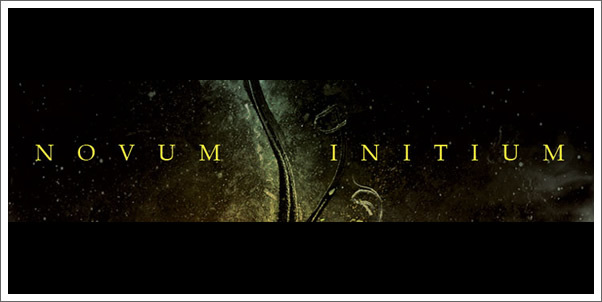 "Novum Initium" will be available for digital download via Bandcamp, CDBaby.com, Amazon MP3, iTunes and 7digital on December 6th. Composer Sam Hulick, co-producer of the "Novum Initium" album project, commented: "There are many musicians who struggle with medical bills and making ends meet during tough times after dealing with unexpected health issues. We wanted to put together a special project to help our peers who are on that stressful road after recovery." "We reached out to our friends in the video game industry and were overwhelmed with the response," explains composer and album co-producer Jason Graves. "This is obviously something everyone can relate to. As full-time composers, we are self-employed contractors and there's no such thing as 'time off' or 'paid vacation.' If we don't work, we don't get paid. Medical bills can add up quickly. That's the whole impetus behind the album." All proceeds from "Novum Initium" will be donated to career musicians in need. For more information on Sweet Relief please visit www.sweetrelief.org.